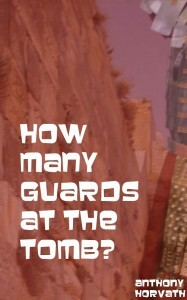 How Many Guards at the Tomb? A series of essays and ebook. Guards at the Tomb: Were they Roman Guards or Jewish Guards? Were they Roman Guards or Temple Guards?